The Contemporary Arts Center of Las Vegas (CAC) is a non-profit 501(c)3 art organization dedicated to presenting new, high quality, visual, and performing art, while striving to build, educate, and sustain audiences for contemporary art. The CAC has a dynamic history of promoting contemporary art through avant-garde exhibitions and educational programs within the Las Vegas arts community. Supported in part by Nevada Arts Council, National Endowment for the Arts, Nevada Community Foundation, The Arts Factory, Benefactors, Patrons, Community Partners, Members and Volunteers. 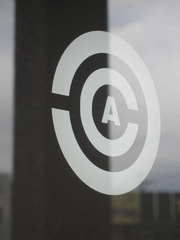 The CAC strives to provide a place where artist can learn about best practices, test new ideas in the public arena, and connect with fellow artists within and beyond our own community.